In the Central Packaging Department, where packaging operations are carried out for all semi-finished products except beta-lactam group products–packaged in their dedicated facilities; isolated, independent primary and secondary packaging areas have been created for each of our high technology packaging lines in order to rule out any cross-contamination risk. Our high-capacity packaging lines are all equipped with track and trace systems (2D Data Matrix) for each of the cartoning, casing and palletizing operations. 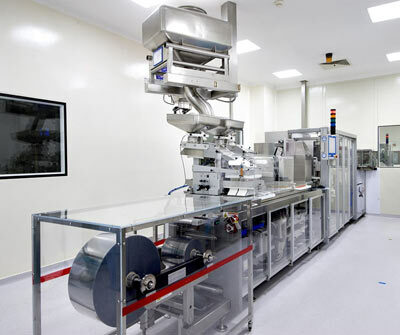 In all our packaging lines, fed by closed systems, tube filling, blistering and cartoning operations are supported with computer-aided electronic control systems.